In the last five years, Volvos have gone from being cars that you bought because of their safety and reliability, to being true objects of desire. 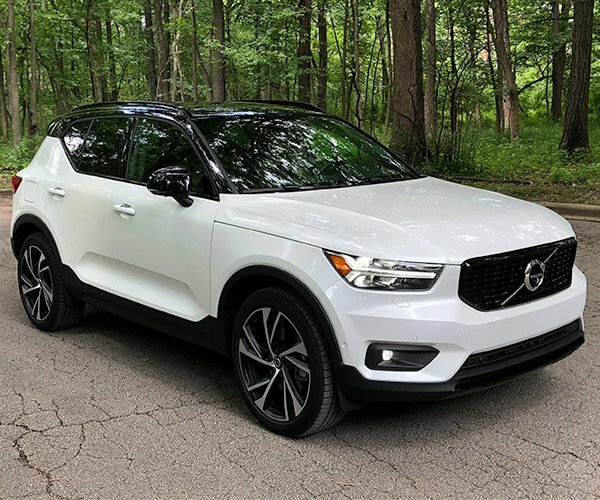 Starting with the redesign of the XC90 back in 2014, the Swedish automaker has dramatically upped its game in terms of design both outside and in, offering a complete new lineup of sedans, crossovers, SUVs, and wagons which all look fantastic. 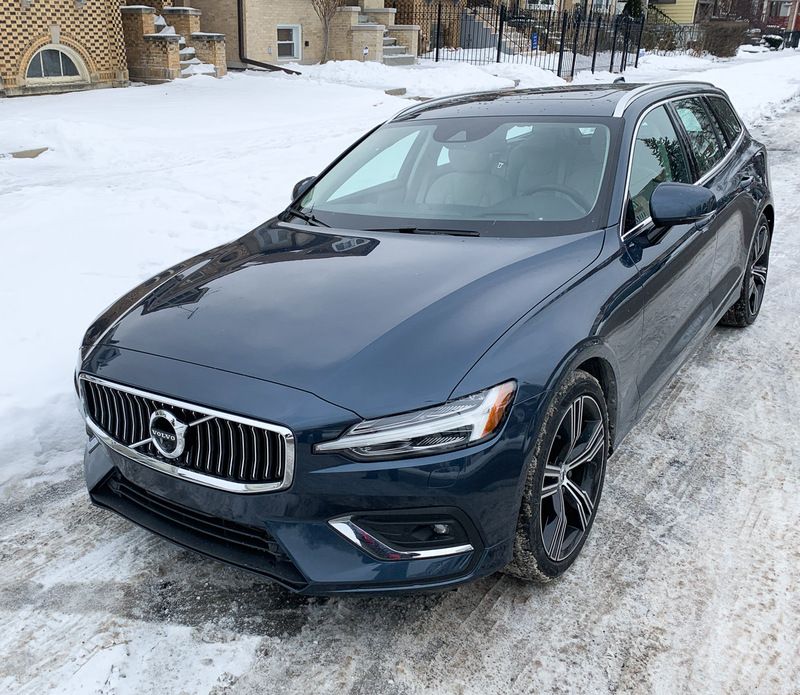 Slotting in as the brand’s mid-size wagon is the new V60, giving buyers even more choices for carrying people and their cargo in style, comfort, and safety. 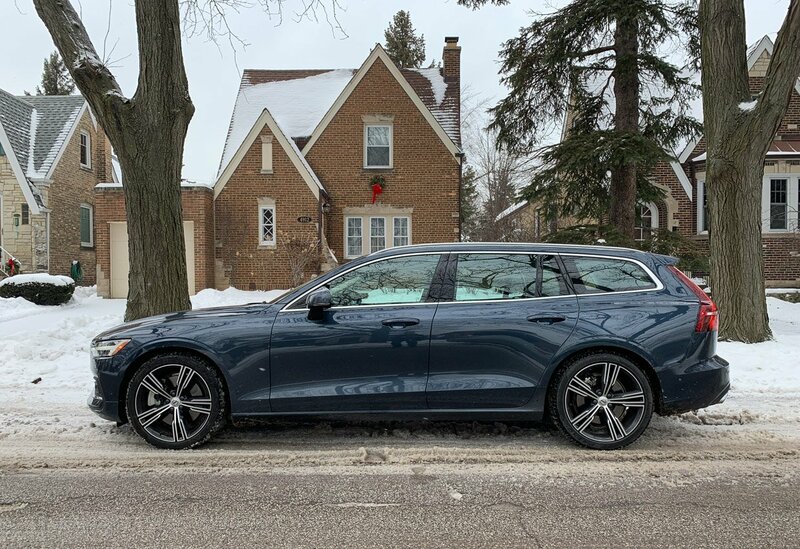 Like other recent Volvos, the V60 features bold and dynamic styling from tip to toe. Up front is the iconic Volvo grille, flanked by sharp “Thor’s Hammer” headlights, which float above sporty air intakes and fog lights with chrome surrounds. 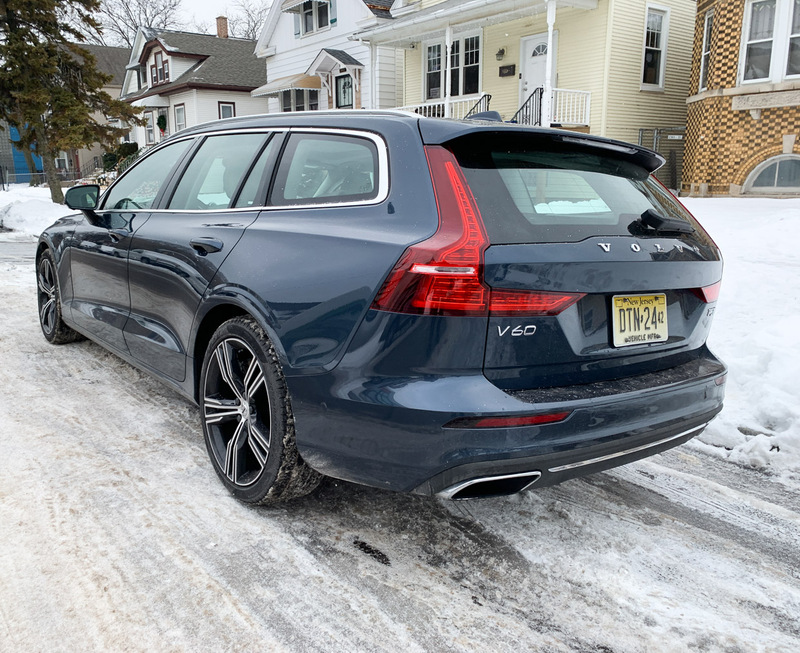 From the side or rear, the V60 offers similarly stand-out looks, from its sculpted door panels, to its sloping roofline, to its big and bright LED tail lights, capped off by a spoiler at the top of its power liftgate. In the case of my loaner, I drove the top-of-the-line Inscription trim, which includes bright chrome grille accents, chrome window trim, dual tailpipes, 18″ alloy wheels, as well as a plethora of interior luxuries, including elegant leather, 10-way power front seats, a 12.3″ digital driver’s display, navigation, and much more. 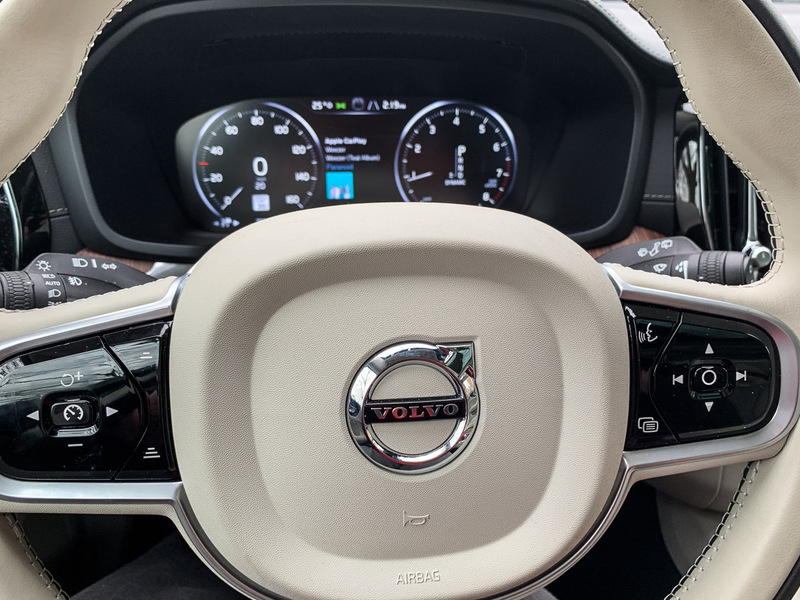 The V60 can be equipped with a 2.0-liter, 4-cylinder engine in either a 250 hp turbocharged, or 316 hp version that benefits from both turbocharging and supercharging. In its more potent T6 form, it makes 295 lb-ft. of torque. 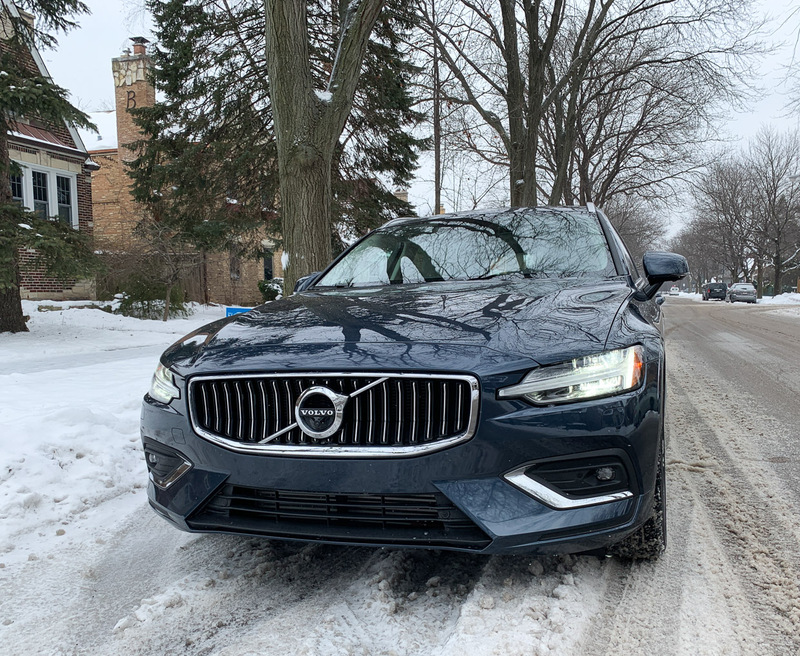 Combined with an all-wheel drive train, the latter is quite responsive and accelerates well, even on the slippery snow and ice of the Polar Vortex we were experiencing in Chicago during the week I drove the wagon. It certainly doesn’t hurt that Volvos are made with the deepest cold of Northern Sweden in their blood. While station wagons aren’t always thought of for their performance or handling, the V60 offers up an engaging drive, with a smooth and responsive electric power steering system. Sporting double wishbones up front, and an integral-link rear suspension, there’s just enough road feel, while still isolating the cabin from the nasty potholes and speed bumps of the big city. 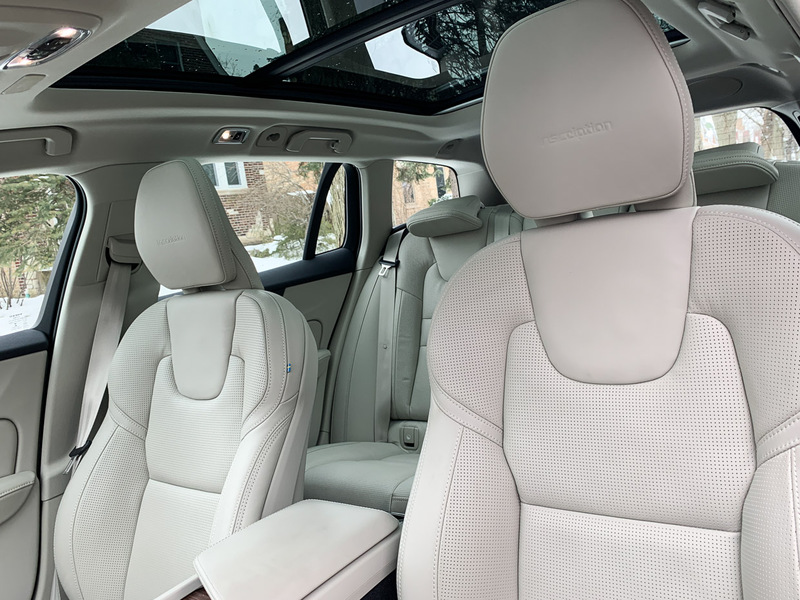 A big part of what makes today’s Volvos so excellent is their interior design and finishes, and this fully-loaded V60 Inscription is no exception. Premium materials abound, from leather seats, to a stitched dashboard and door panels, to metal trim. But the real highlight is the Driftwood trim, which bends and flows along the dash and center console, its diagonal grain inviting you to touch and feel its organic texture. Fit and finish is excellent as well, without a rough edge, gap, or rattle to be seen or heard. 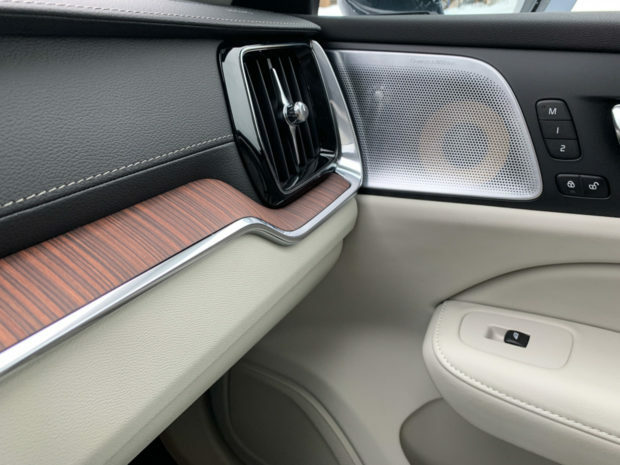 Volvo are also masters of tech these days, highlighted by the 9″ vertical touchscreen interface for its Sensus infotainment system. 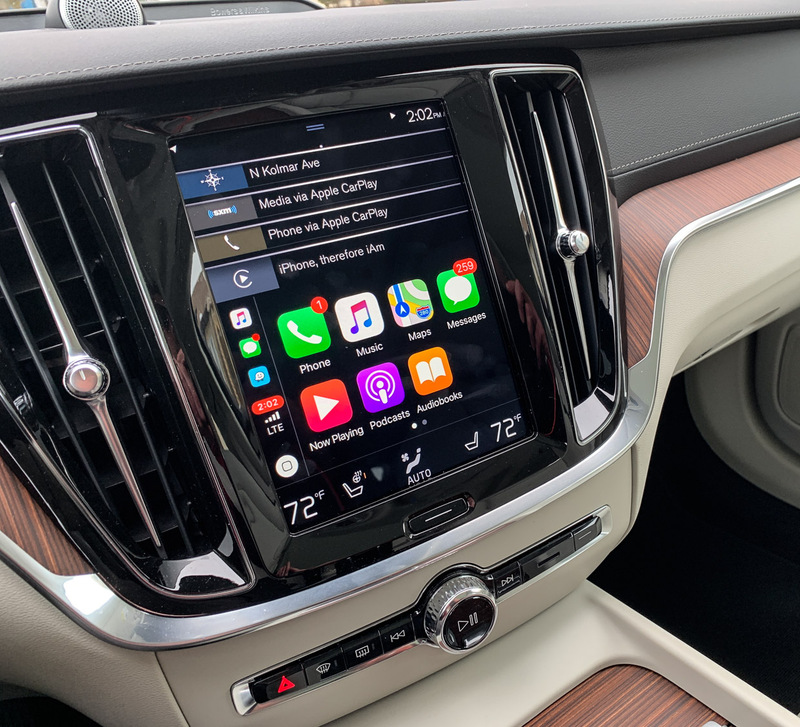 This is among my favorite vehicle interfaces available today, with its tablet-like control scheme, intuitive applications, and great integration of Apple CarPlay and Android Auto. The digital climate controls are especially well designed, and offer quick and easy adjustments of both air temperature, and the heated and ventilated front seats, and the heated steering wheel. I was particularly thrilled to find that all of the touchscreen controls worked brilliantly with gloves on, something that other tablet-style displays don’t always handle, and a welcome capability when the air temperature outside the car dipped down to about -30ºF. If you love good audio, you’ll want to opt for the premium Bowers & Wilkins sound system, which offers up cabin-filling sound that’s crystal clear, rich, and powerful. 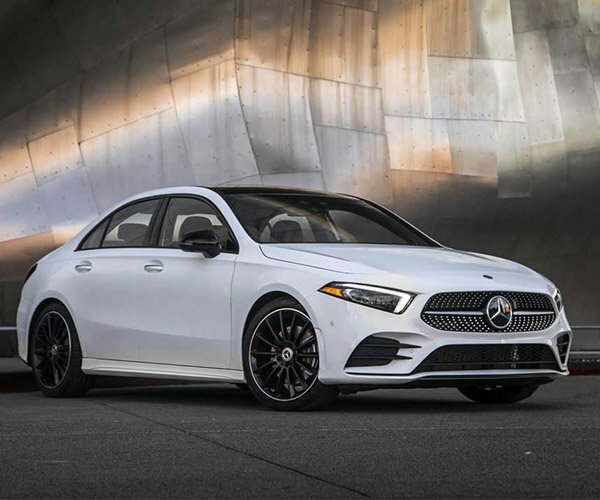 It sports 15 speakers, and a 10-channel amplifier with a total of 1100 watts of power Plus, its swanky stainless steel mesh speaker grilles are right up there with the finest audio systems in the most luxurious vehicles. 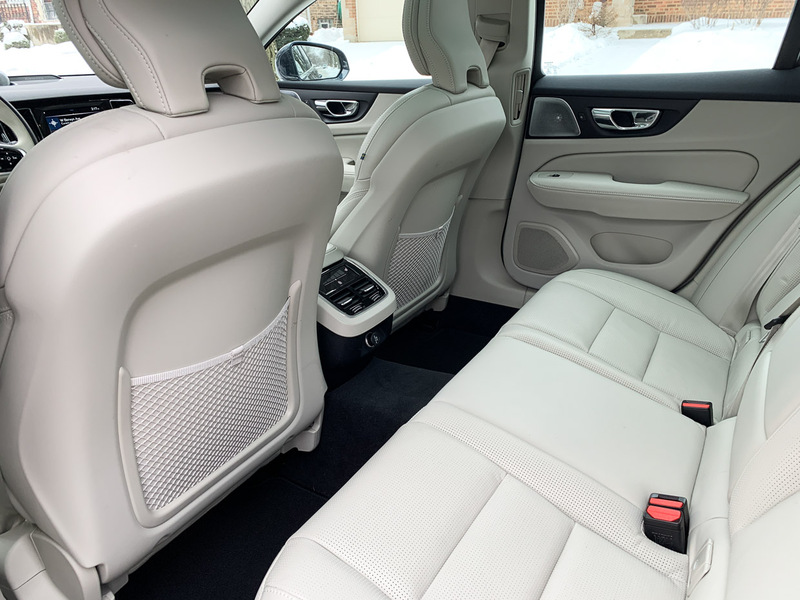 My car was fitted with the luxury seat package, which adds ventilated Nappa leather seating surfaces, power adjustable side supports, and massaging backrests. The panoramic glass roof overhead make the already bright and airy cabin brighter. Being a Volvo, safety technology abounds. There’s a city collision avoidance system, which can detect vehicles, pedestrians, cyclists, and large animals, along with blind spot warning and cross-traffic alert with emergency braking. 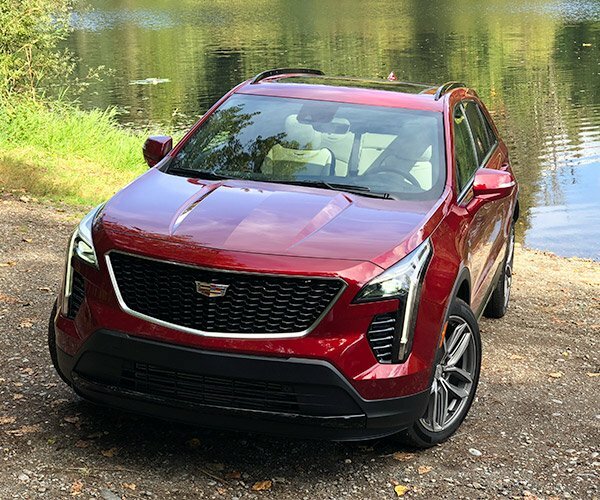 The adaptive cruise system is excellent at maintaining speed in stop-start or full-speed highway traffic, and can work in concert with a lane-centering system to reduce steering effort and driver fatigue on long trips. 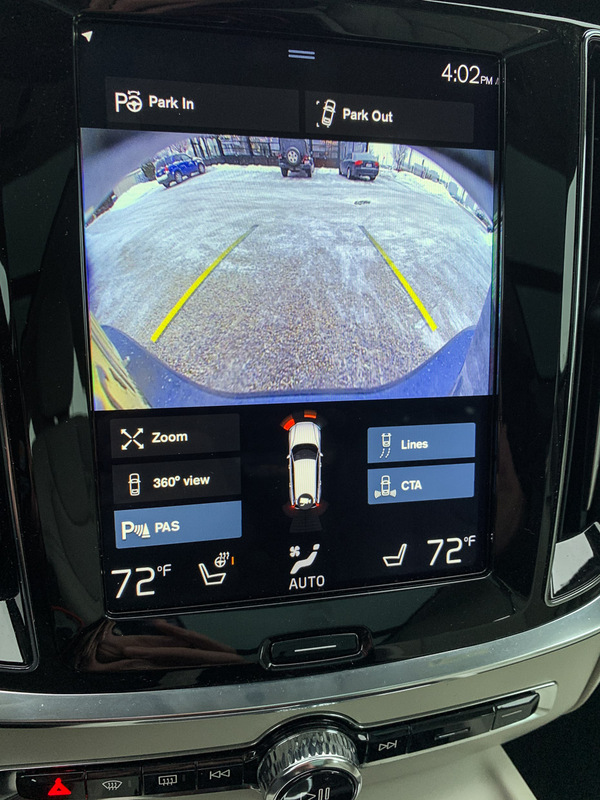 There’s also an available 360º camera system, and rear park assist, which provides added confidence when maneuvering in and out of parking spaces. enough leg and knee room for most adults, along with a comfortable bench setup that seats three. Those fold in a 60/40 split, offering versatility for carrying larger items in the back. 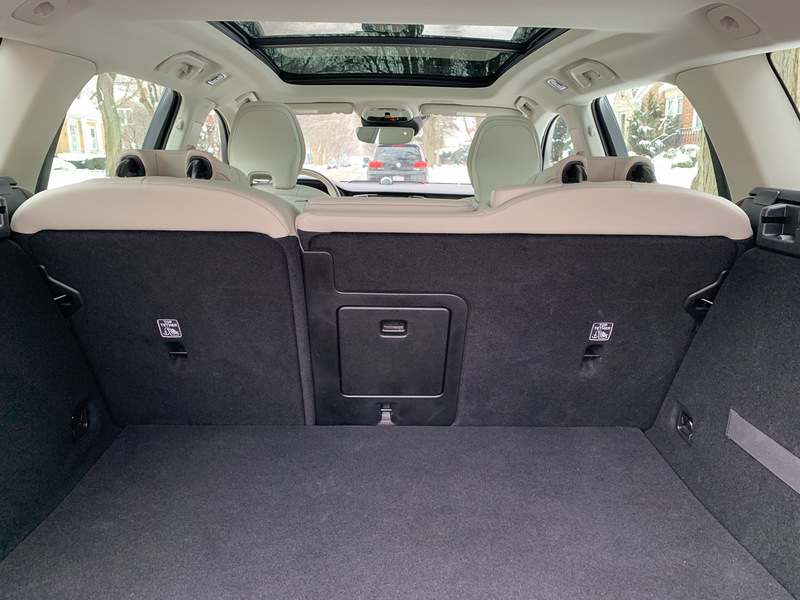 With the seats in use, there’s a 23.2 cubic feet of cargo volume, which is plenty for small suitcases, groceries, and sporting goods. Fold the seats down, and that increases to an SUV-like 50.9 cubic feet. Being a wagon, the cargo area isn’t as tall as an SUV, but you get the advantage of a much lower roofline, which makes loading and unloading gear like bikes or kayaks much friendlier, should you opt for a roof rack. While the tricked out T6 AWD Inscription I drove stickered over $62,000, the entry-level T5 Momentum FWD starts at just $38,900, so you can get in on the wagon-y goodness without stretching your budget quite so much. With simply sublime styling inside and out, a powerful, yet fuel-efficient drivetrain, tons of convenience and safety tech, and versatility for transporting people and cargo, the Volvo V60 wagon is yet another winner in Volvo’s exceptional current lineup.